We will be Working on a series of SIMPLIFIED DOCUMENTS this year, releasing new ones monthly, that will help others to Prepare and Teach Preparedness. We give our permission, to allow others to use these in NON COMMERCIAL uses, like making copies to pass out to neighbors, church groups, emergency preparedness groups, or sharing on social networking sites, etc... for fair use educational purposes, and we even don't mind if you link it to your preparedness blogs either, as long as you acknowledge where you got them from and provide a link back to this page of our website. We have made them available in both PDF docs, and JPEG images. 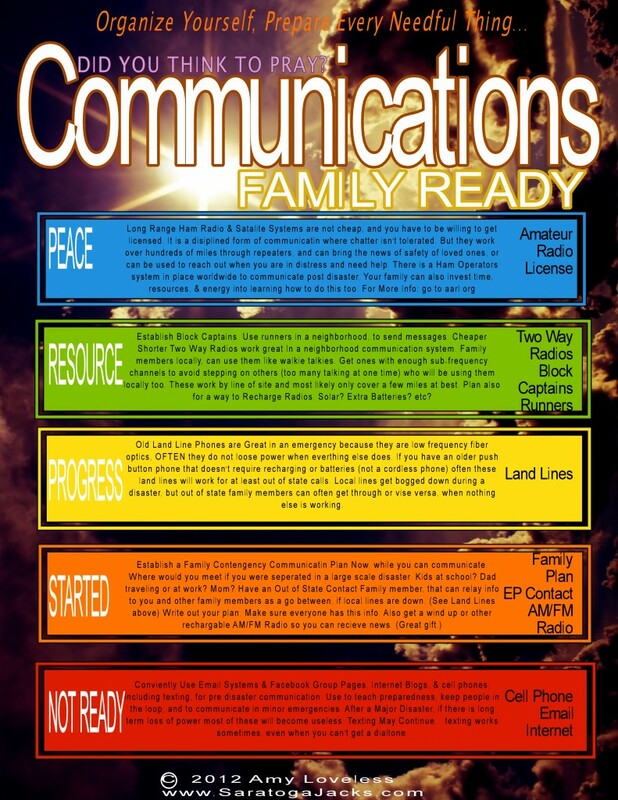 They will be visual, easy to understand, one page docs, and educational so Individuals and Families, Communities, Church Organizations, and Neighbors can gauge where they are at in their preparedness, and help them to move forward one step at a time in their personal efforts. We do however retain the copyrights and ask that you do not use this information commercially and/or profit off of our efforts that we share freely with you, by reprinting it in material that is for sale; such as books, magazines, etc...without our written permission. You can contact us if you have any questions. Disclaimer: Also, because we made some of these documents for our local church congregation, some of them were used in teaching spiritual and temporal preparedness to members of the Church of Jesus Christ of Latter-Day Saints. They were not reviewed or endorsed by the church's leaders. We do not represent or speak for the leaders of the church, we only hope we are upstanding members in our efforts to serve the Lord. If there are mistakes in the documents, they were ours alone. Our opinions and interpretations, are in no way meant to represent the Church of Jesus Christ of Latter-day Saints. 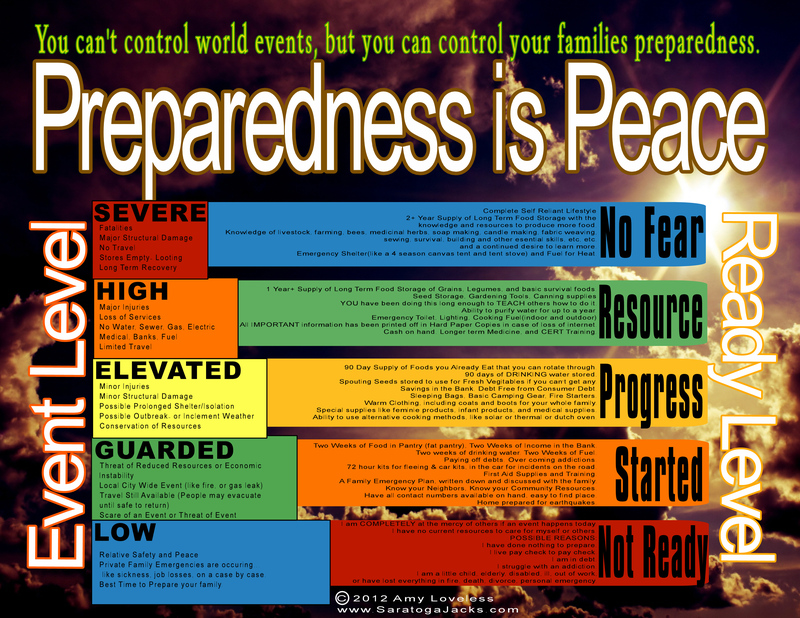 Here is the Preparedness is Peace with Clouds in a PDF format for you to print. 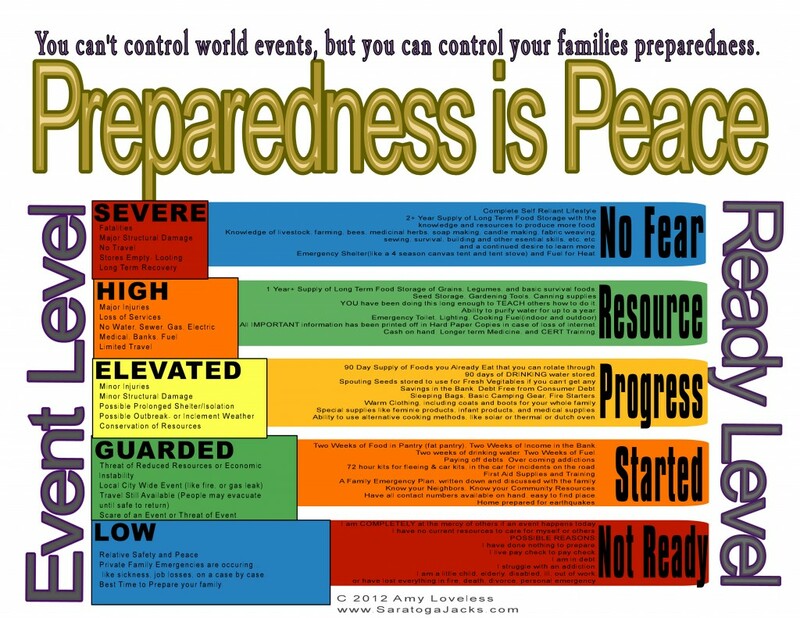 Here is the Preparedness is Peace without background clouds PDF for you to print. 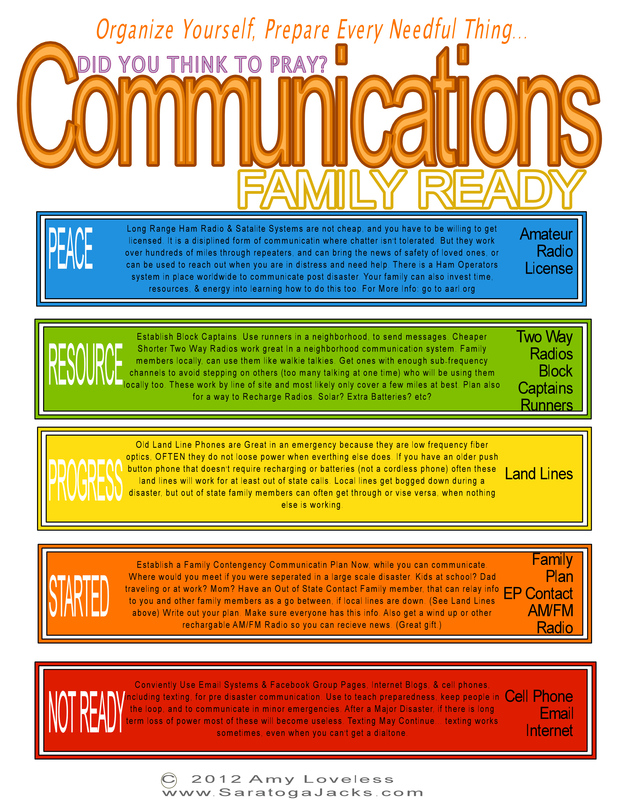 The Preparedness Is Peace Document is Special and I usually always pass that one out, but one of the other first getting started documents I pass out a lot is a PREPAREDNESS TEST FOR THE FAMILY the first four questions, I believe, are some of the best first four preparedness areas to focus on, and they happen to be promoted by my church (To See their document and council google: ALL IS SAFELY GATHERED IN provident living) The rest of the test asks other general preparedness questions to jog some helpful hints on areas your family can improve on. 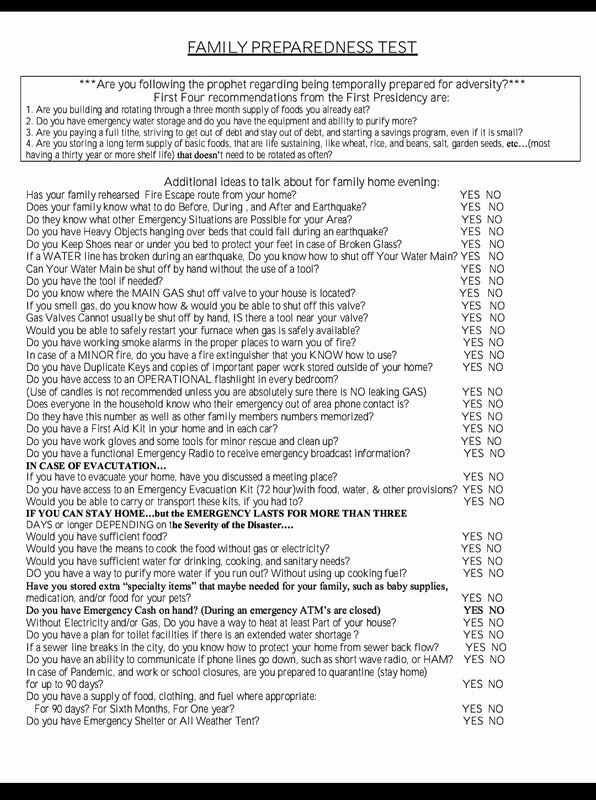 (*I OFTEN PRINT THIS Test ON THE BACK OF THE PREPAREDNESS IS PEACE DOCUMENT ABOVE.) I think the suggestions are great whether you go to my church or not! When I pass the test out, I explain, if they can say yes to the FIRST FOUR QUESTIONS in that test, they will be very blessed, because they will not only have greater peace of mind, because they are living in the top 5% of the world for preparedness, they will probably have already discovered, if not yet, that over time, those first four principles of preparedness, LEAD to other preparedness principles. I call this the Begatitudes. Where one principle begets another, developing greater understanding. 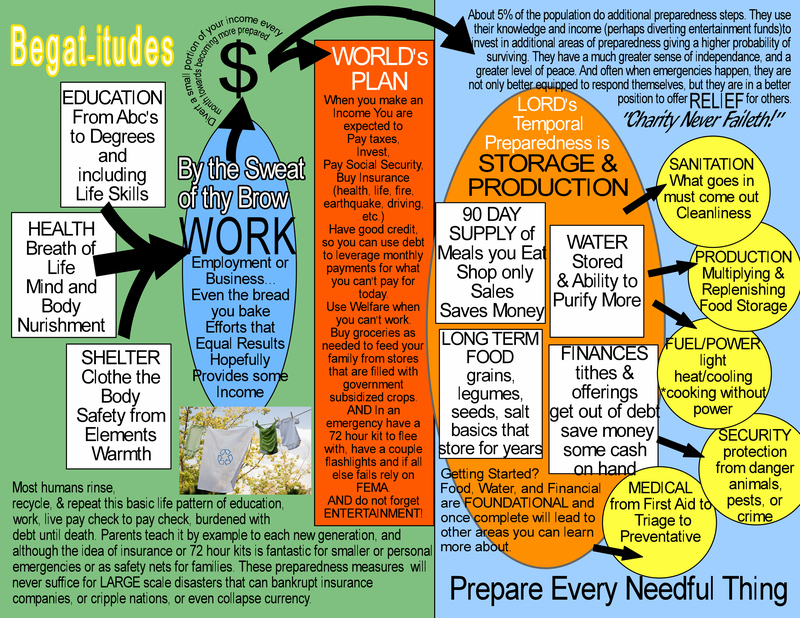 The ones the church primarily has asked its members to focus on, 90 day supply, storing water and the ability to purify more water, financial house in order, and long term food storage often lead to the other principles of self reliance. 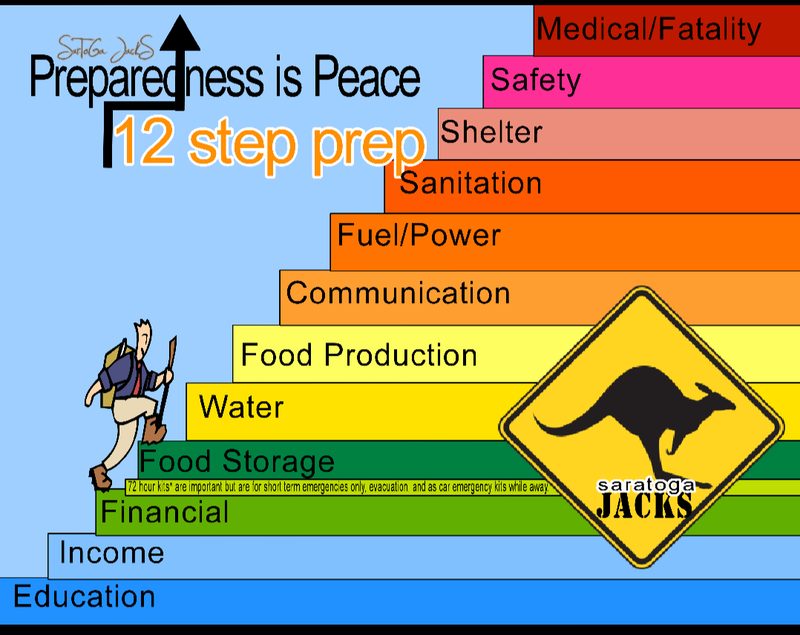 This is the 12 step prep list: to help a preparedness group pick One topic a month. I call this the 12 Step Prep document: It has also helped me to focus on the those 12 topics....in instruction. ONE a month. Every year repeat, from a slightly different angle.... For instance one year EDUCATION may be focusing on helping people to go back to college, another it might be about scholarships, another it might be about k-12 options, including charter and homeschool curriculums. Sanitation may be about emergency toilets and supplies, or it may be about how to safely bury bodily waste, or it may be fun, like how to make soaps, cleaners, shampoos, laundry without power, etc. Some question I get about the 12 step Prep Doc. Why don't you cover clothing on this list? And my response is Clothing is mobile shelter... so cover clothing, and warm protection ideas in shelter. The other question I get often is where is children and animals or special needs? 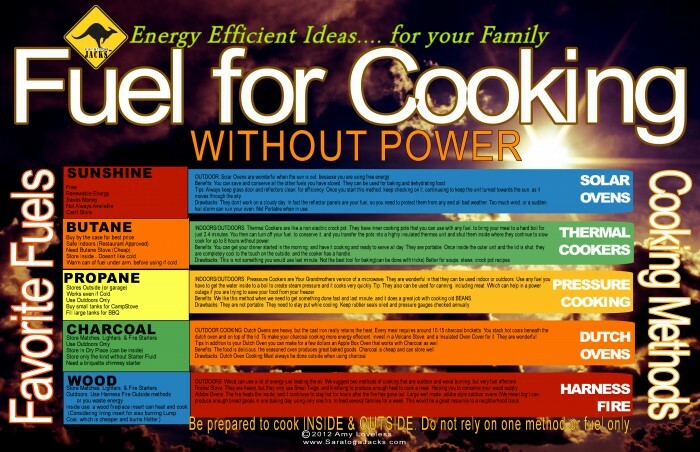 That is obvious to me, you deal with individual needs under each section. Example, When you are talking about sanitation, deal with everyones sanitation needs, including diapers, feminine products, cat litter, etc. OKAY I get a LOT of questions about how our stake is so successful at teaching EP. We have a team. Not one person. Out EP Specialist, Communications Specialist, Stake President, and High councilman over preparedness developed that team. 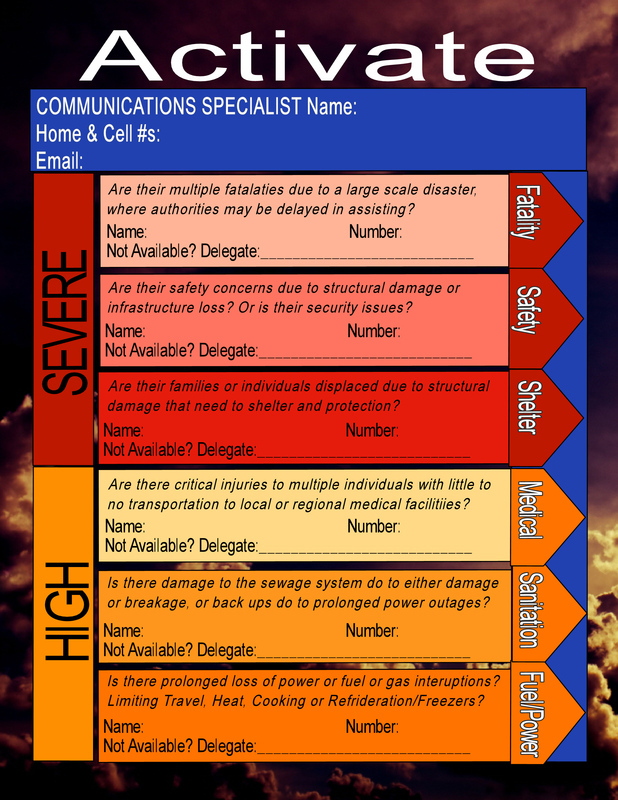 They call other experts in their fields, the 12 areas of temporal preparedness. That incidentally also go along with the 12 step prep document. During an actual disaster the Leadership activates, or call on, the specific experts BUT only if Needed. The stake usually activates two immediately first, the EP Specialist and the Communications Specialist, and sometimes the High Councilman assigned over the EP program. All of them support the stake presidency. Others are then called only if they are needing their services. 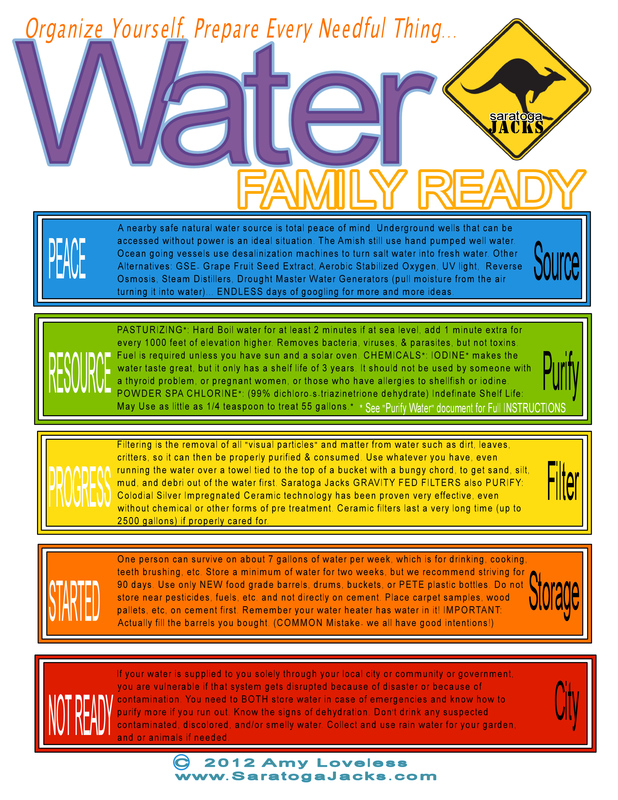 For instance, if the water has been contaminated, the water specialist is called up and activated to duty. The bishops once they saw the level of training and organization at the stake and the support within the team also asked if they could call a team. So, Each Bishop in our stake has now duplicated this plan, so they each have teams of trained experts in Every Needful Field at the ward level. The Sanitation Stake Expert then taught the sanitation ward guys/gals. This has been great for when they have had to release any as they move. The stake has others they then know they can call or rely on. 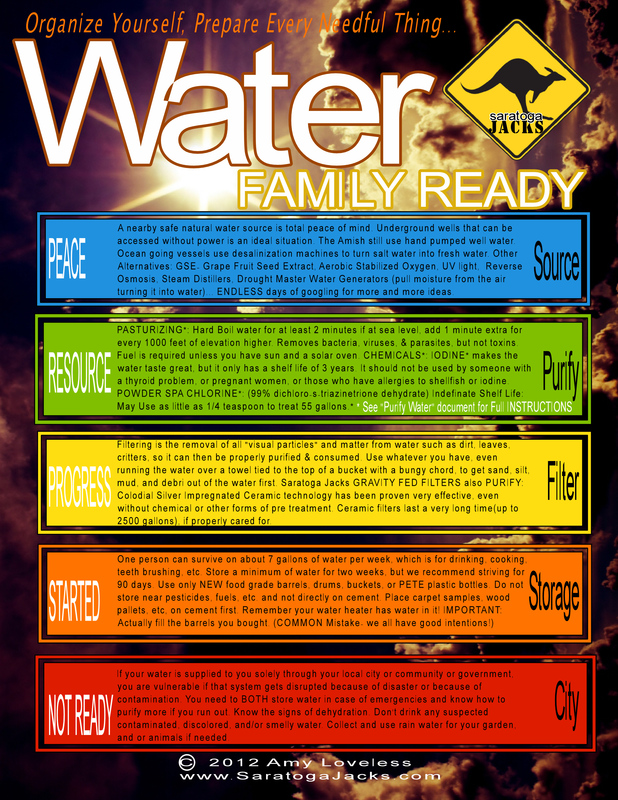 Each Month of the Year is assigned a temporal preparedness topic. A message by that expert, focused on that month's theme is prepared by them. 12 months, 12 themes. They usually email that theme out to ward and stake leadership and other experts from the wards, the message is then supposed to be passed down. Since Block Captains or Home Teachers or Visiting Teachers are already delivering a spiritual message from the Ensign they are then asked to deliver a copy of the temporal well being message as well, and honestly we often include the non members in our area, so they are encouraged to be prepared as well. They appreciate the safety and preparedness and concern of the neighbors. No one person is overwhelmed with this task. 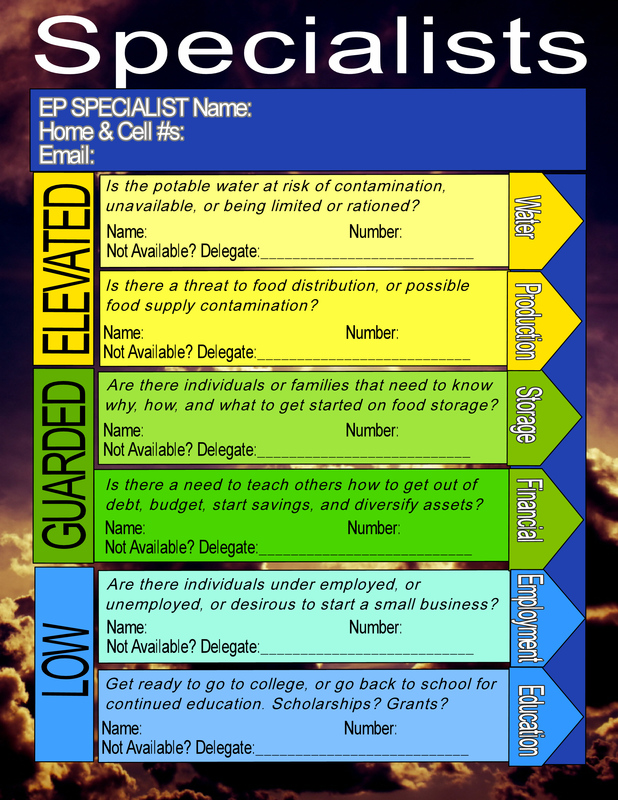 If you are a Food Storage expert at the stake level and your month is April. April you help develop that month's message. One year it might be the difference between the 90 day supply and the Long term supply. The next year the same month it might be about Grains. They are just responsible for that one month's message and then the next month someone else takes over. Also their other annual responsibility is to work with the other called ward Food Storage Experts from the congregations once a year to do some great classes and booths on Food Storage at the Stake preparedness fair. Side Note: *The Fatality Expert for the stake is often some guy in the stake that owns a mortuary, or knows what to do, If there is a LARGE scale amount of losses, etc. WE DO NOT TEACH a class about that. We focus on Medical Prep and triage instead. However we did once do a class/share a prep message one year about WILL PLANNING etc. We were fortunate enough to have in our stake a man who was a coroner, who also did some work on the ground after the 2004 Tsunamis in Thailand who had dealt with the overwhelming task of more than 400,000 deaths. He privately trained our stake leaders about grief counseling and has been a blessing to our stake president knowing his expertise is available. He has at least taught leadership how to "appropriately and safely catalog all persons/incidents/witnesses/attempts to resuscitate" etc, until authorities can get to us, if the disaster is so wide scale nobody is coming quickly. Here is the Family Communications PLAN in PDF to print. Here is theFamily Communication Plan without background for easy print in PDF to print. 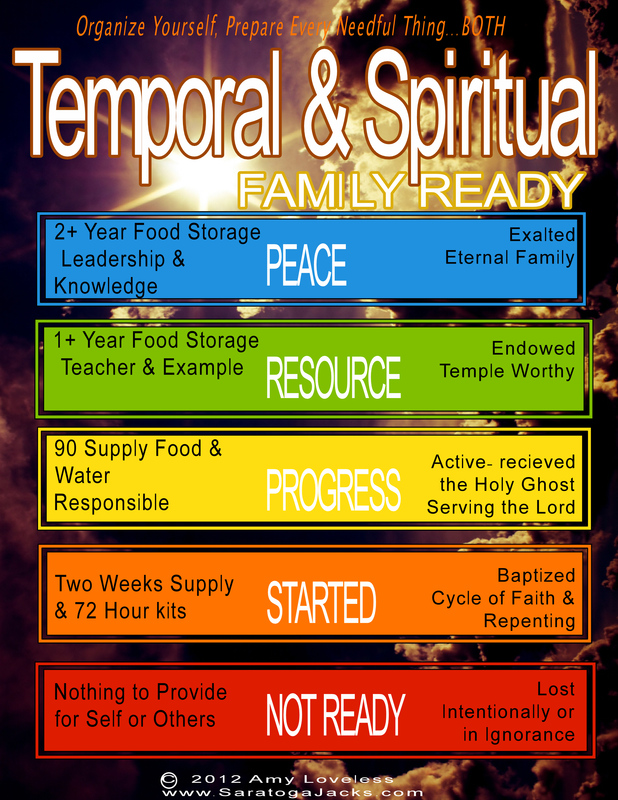 Here is the�(LDS)Temporal & Spiritual Go Together (with clouds) PDF to print. 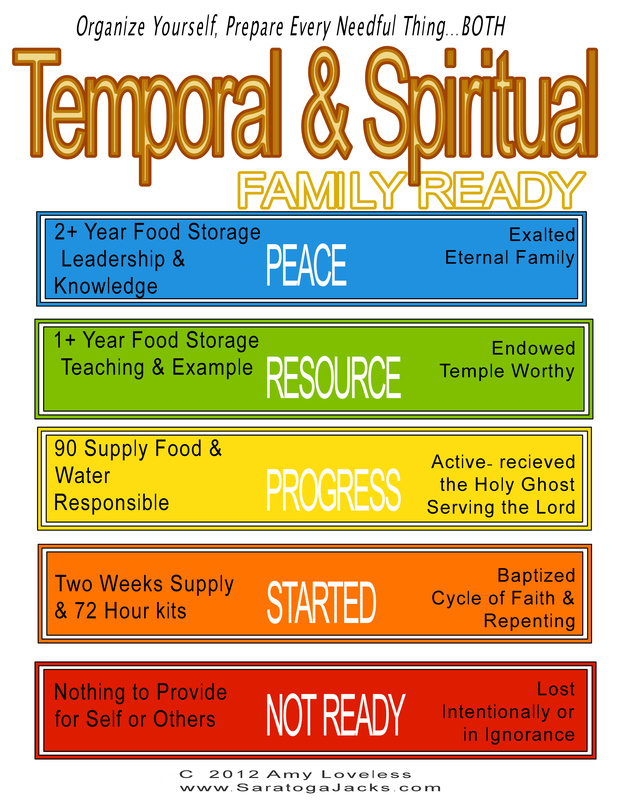 Here is the(LDS) Temporal and Spiritual Go Together (without clouds) PDF to print.